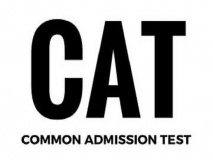 CAT refers to common admission test which is an entrance test for the admissions of MBA in the elite institutions like IIMs. The CAT scores will be used by many business schools for the admissions. CAT 2018 will be conducted in the month of November 25th, 2018. The registration process began in the month of August. The candidates aspiring to take CAT can apply online till September 19th, 2018. CAT 2019 exam is an online test which is conducted by the IIMs on rotational basis. About 20 IIMs accept the CAT score for their MBA admissions in India. Basically the exam is conducted in two sessions. Certain mock tutorials are released by the IIMs and students can prepare accordingly. Candidates can also refer the previous year question papers. Candidates can also practice tests online through different sites and familiarize themselves with the test. CAT is an online based test. It is a PG level entrance test and the score is accepted by the 20IIMs and many other B-schools. The duration of the test is about 180 minutes. Candidates are requested to possess a bachelor’s degree with an aggregate of 50%. Candidates must possess an equivalent CGPA 45% for SC, ST and PWD/DA category from a recognized board or university. Candidates are requested to have a professional degree in CA/CS/ICWA. Those candidates who are in their final year degree can also apply by submitting certain documents as proof. Candidates can register online and apply for the test. The registration has already started and will continue till September 19th, 2018. Candidates will have to register and then log in and fill the application form. The CAT results will be announced by the second week of January, 2019.